Las Vegas. Lost Wages. Sin City. An artificial oasis of pleasure, spectacle, and entertainment, the gambling capital of America has reinvented itself so many times that its doubtful that anyone knows for sure what's real and what isn't in the miles of neon and scorching heat. Las Vegas is considered the ultimate players destination-no matter what your game. Almost anything is available-for a price, mind you, and sometimes losers walk away from the tables with even less than just an empty wallet or purse-sometimes they don't walk away at all. 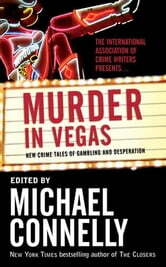 Now the International Association of Crime Writers and New York Times-bestselling author Michael Connelly have gathered twenty-two crime and mystery stories about the ultimate playground, Las Vegas, and what can happen behind the glitz and glamour. 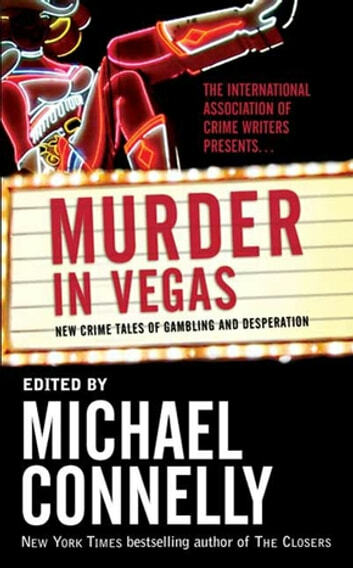 From a gambler who must-win at the roulette table to stay alive to a courier who's only mistake was accepting a package with Las Vegas as the final destination, come to the true city that never sleeps, where fortunes are made and lost every day, and where snake-eyes aren't found just on a pair of dice.